WALT: Write a Reflection about Day 2 Kiwisport. 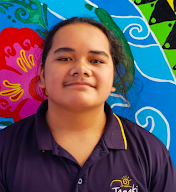 On Day 2, Today we had hip hop for Kiwi sport. 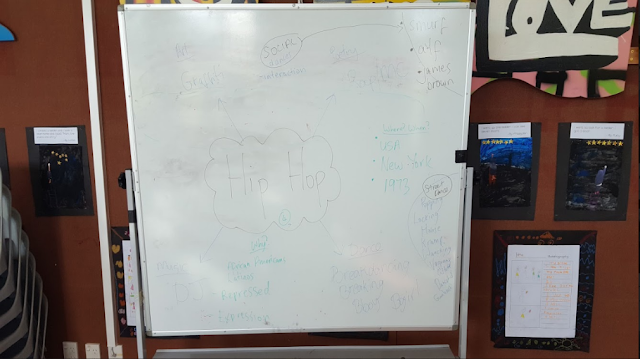 We were reflecting on the Hip hop brainstorm and their were 4 elements that are connected to Hip hop dance or Artist. The first one is rap and rap is like writing a song of what you wanted to name and making a rhythm out of it. The second element is DJ and DJ has been one of the most popular music instrument but with equipment. The DJ was started in around the 1970's. The third element is Break dancing. Break dancing is different to Hip Hop but doing it on the streets. Break dancing started in america at New York in 1973 where people would enjoy dancing by doing any other type of their moves that they have got. The last one is Art/Graffiti. People were doing some artist like Graffiti in the 1967 and some of the people liked doing Graffiti but sometimes others didn't want some of the art to be put on buildings. That is the four elements of hip hop, The second Reflection is the dance moves. Our kiwi sport teacher teach us the same dance moves but with new moves. The new dance moves are 'The Janet Jackson' dance and 'The Alf' dance. So our teacher teached us these moves and doing the recent dance moves that we did last Monday. We did the dance in order. 'Smurf' dance 1x, 'James Brown' dance 1x, 'Janet Jackson' dance 1x and 'The Alf dance' 1x. After we practice these moves in order, We get in a circle and we started to do some freestyle moves. What it means by Freestyle is that you can do any moves that comes up in your mind.